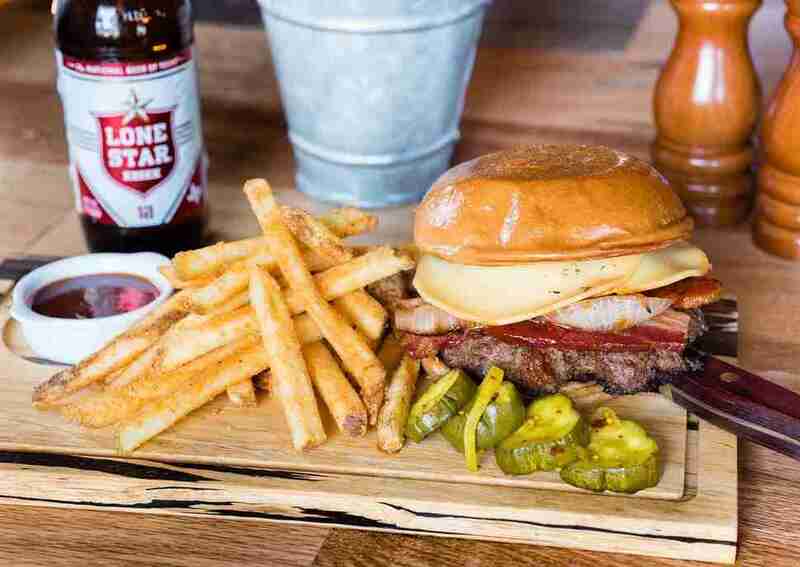 The Dallas-Fort Worth restaurant scene in 2018 proved to be just as volatile as 2017's, with food delivery services disrupting the industry and forcing some upstarts and new favorites to throw in the towel. But there’s a lot of good news to report on the dining front this year, including a trend towards more affordable but still adventurous dining options. Perhaps the biggest trend saw a departure from the steakhouse-obsessed reputation that Dallas has cultivated for years. Maybe it’s the high price points or maybe everyone is just kind of steaked-out, but this breath of fresh culinary air brought with it a more diverse crowd of new restaurants. Whether it’s surf 'n' turf, any number of Asian cuisines, or a vegan taco, 2018 did not disappoint on the food front. 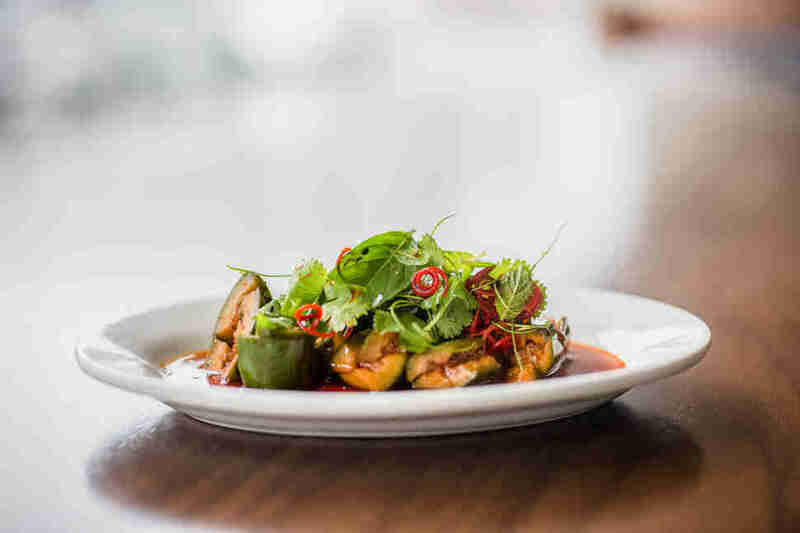 When internationally renowned chef José Andrés decided to open a sister location to his beloved Washington, DC restaurant, Zaytinya, few would have imagined that he would pick Frisco for it. Even more unbelievable is that this culinary gem would land in The Star, the Dallas Cowboys practice facility and entertainment district. 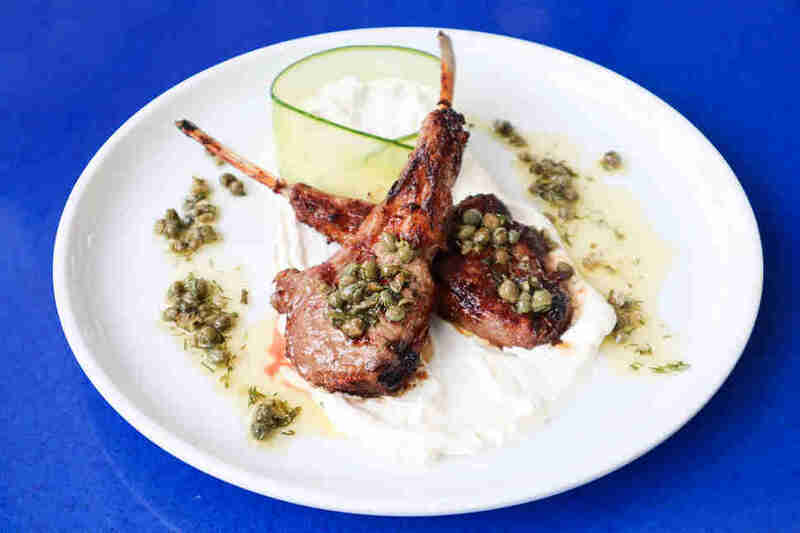 But the array of small and large plate offerings of Turkish, Lebanese and Greek delicacies (with a good deal of beef dishes available to appease the Texas masses) more than hold their own against those offered at the original DC location. Perhaps the most exciting development in downtown Dallas this year was the rebirth of the long-abandoned Statler Hotel as a luxury dining and drinking destination. With concepts ranging from breakfast comfort dishes to kitschy and quirky takes on standard bar food fare, there’s a lot to love about the Statler’s restaurants. But Fine China stands out from the crowd with an elegant selection of modernized Chinese-American dishes. It’s not hyperbole to say that the Cantonese roasted duck dish alone is worth the trip and cost of parking. Deep Ellum’s ever-popular Twilite Lounge was one of the first cornerstones in the renaissance of the neighborhood as a once again hip destination. So it only makes sense that they opened a second location in the burgeoning Near Southside area of Fort Worth. But the Fort Worth outpost offers one thing that the Deep Ellum original does not: a kitchen which cranks out some of the best red beans and rice, boudin balls, and po' boys that you’re likely to find outside of Louisiana. With incredibly generous portions, your best bet is to order a po' boy with extra debris and bring along a very hungry friend. 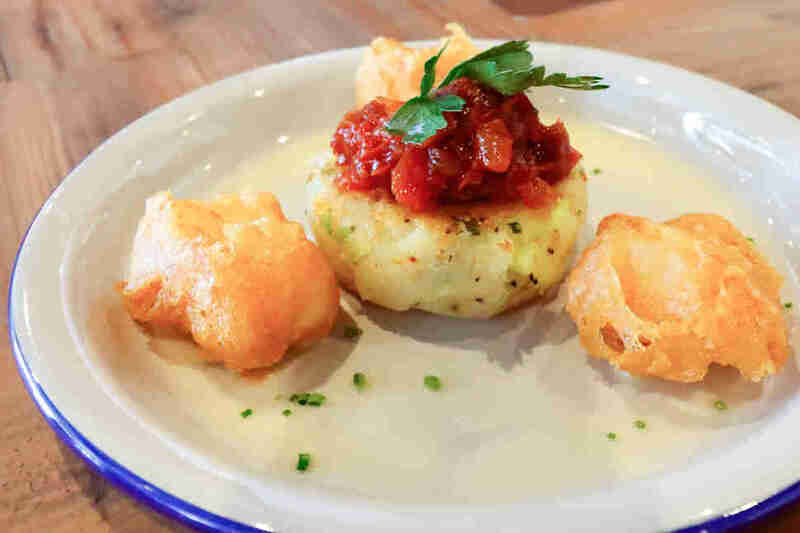 Celebrated British chef Nick Barclay and his wife have brought a wonderfully authentic slice of seaside fish and chip shops in England to the North Dallas area with Fish & Fizz. Featuring incredibly fresh and generously sized portions of cod along with traditional chips, as well as must-haves like minted mushy peas and all the Sarsons malt vinegar your heart could desire, it’s almost easy to forget the wide variety of sparkling wines that gives the name its fizzy element. The decor, featuring quirky recreations of English seaside shacks, gives the restaurant a lighthearted and fun ambience. 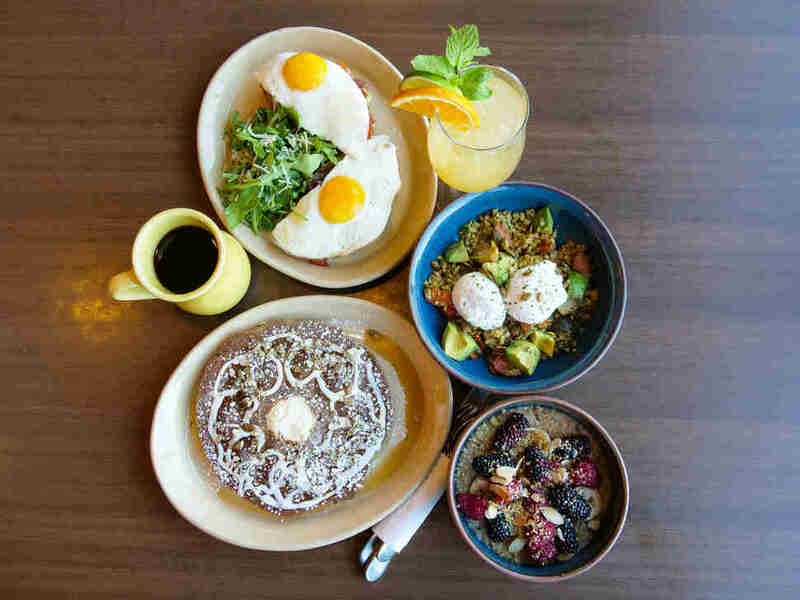 Billing itself as “an AM eatery,” Snooze is a national chain of kitschy and slightly upscale brunch spots with a focus on fresh, organic ingredients, and sizable portions. While any restaurant offering stacks of pineapple upside down cake fluffy pancakes may seem relegated to cheat days, Snooze offers a surprisingly large selection of savory favorites from omelettes to avocado toast. For this reason alone, Snooze has quickly proven popular with those who follow paleo, ketogenic or Whole 30 eating plans. 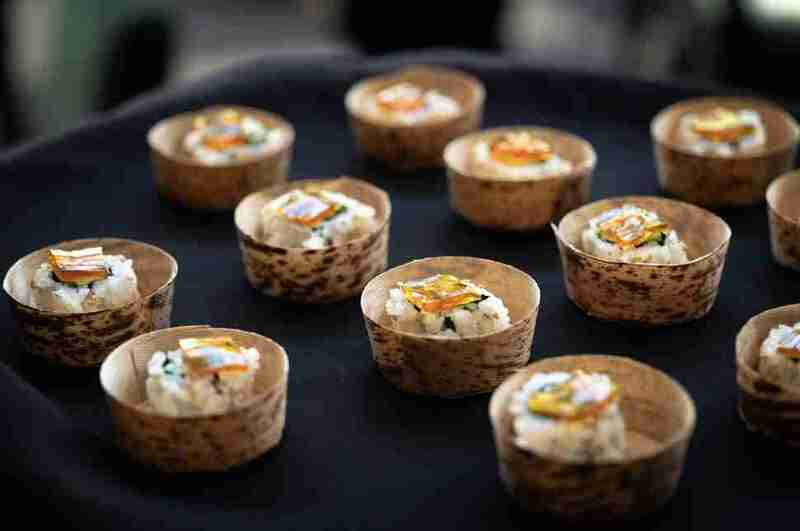 When four time Beard Award nominee Kent Rathbun parted ways with his iconic Dallas restaurant Abacus, many Dallas foodies were shocked and curiously wondered what was next for the revered chef. Turns out that the answer was Imoto, an upscale Victory Park restaurant serving Rathbun’s trademark twists on Asian classics, such as his famous curry-based scallop shooters and Korean-style fried chicken. 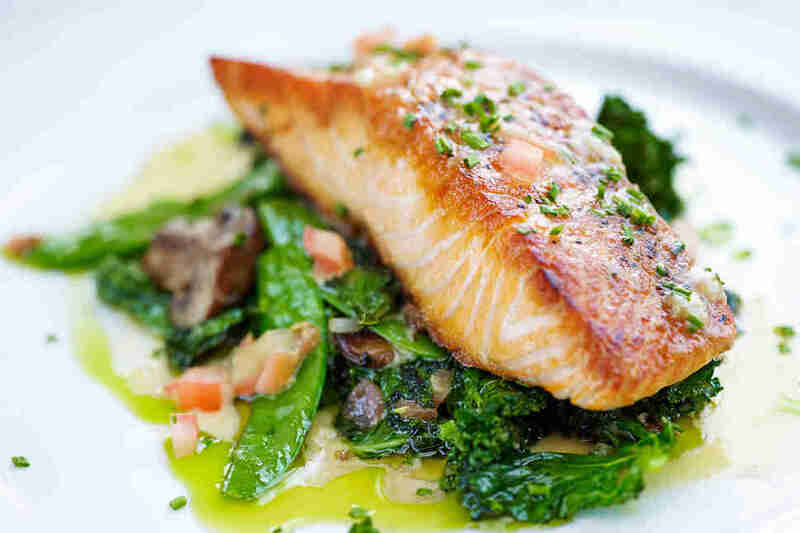 Nestled just steps away from the American Airlines Center and downtown Dallas, the marriage of this location and Rathbun’s culinary reputation proves to be a match made in foodie heaven. Ever since it opened in the Bishop Arts District in 2010, getting a reservation at Lucia is sometimes less likely than the Texas Rangers winning the World Series. To accommodate the overwhelming demand and to show off their fluency in cured meats of all kinds, Lucia launched Macellaio this year. 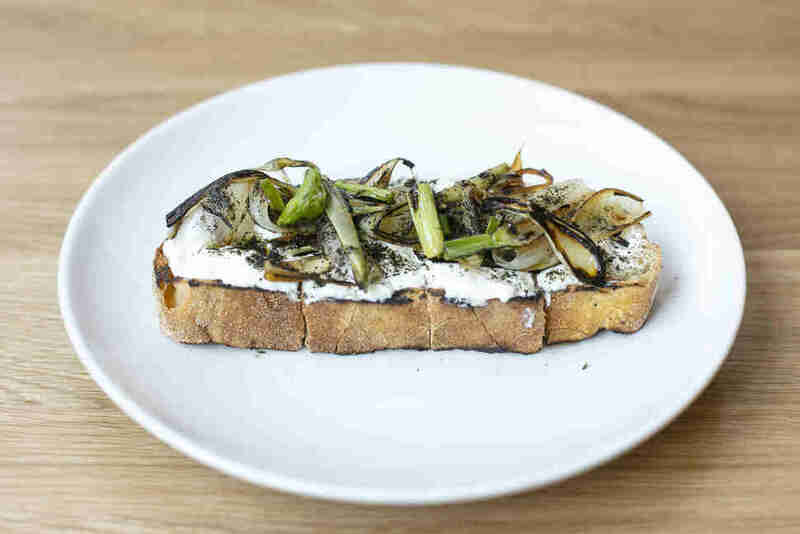 The more casual bar and cafe set up of Macellaio allows for diners to sample the vast array of charcuterie focused offerings without having to pledge their firstborn for a shot at a table at Lucia. 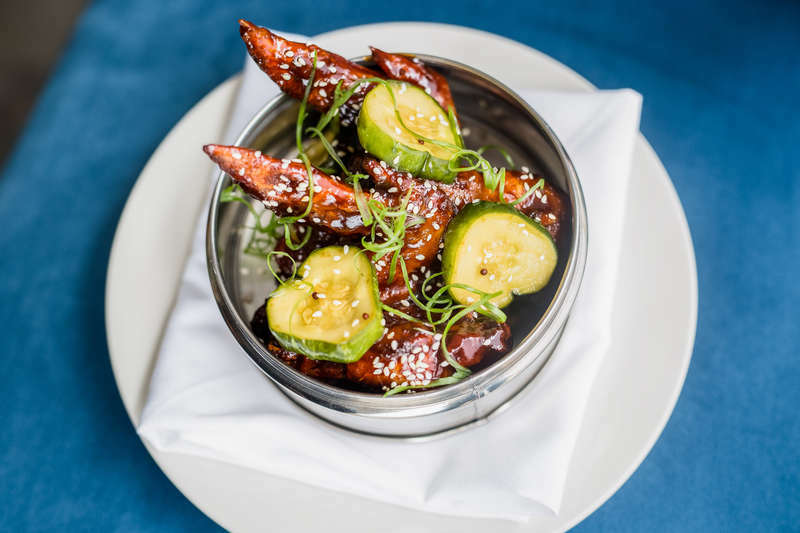 OK, I know we said that one of the most obvious culinary trends in Dallas this year was, mercifully, a departure from the steakhouses that have long dominated the food scene in town. But there is an exception, and it’s one that is well worth it. Houston’s B&B Butchers opened a second location in Fort Worth’s upscale Shops at Clearfork and has already proven to popular with the well-heeled shoppers and diners fo Clearfork. Also, if you visit B&B Butchers and don’t try the Carpetbagger on a Half Shell (fried oysters on top of perfectly cooked tenderloin and thick cut bacon), you may want to rethink some of your life decisions. The food scene in Deep Ellum has evolved past the late night walk up pizza by the slice windows and lines to buy novelty donuts (or, let’s be honest, the ill-advised late night hot dog from the 7-Eleven on Elm Street) to something a little less gluttonous. Oliver Pecker, longtime owner of Deep Ellum staple Elm Street Tattoo and star of reality show Ink Masters, has brought vegan nibbles and ultra healthy smoothies to the neighborhood. Juices, coffees and espressos from White Rock Coffee, and smoothies are some of the healthiest options in the area. But the flavorful and filling vegan tacos are what will really make an indelible impression upon visitors. You always hear the whispers and tales of the most amazing meal found at a location so unremarkable and easy to miss that those in the know are reticent to even share the location with others, for fear of others blowing up their spot. Well, the secret is out. 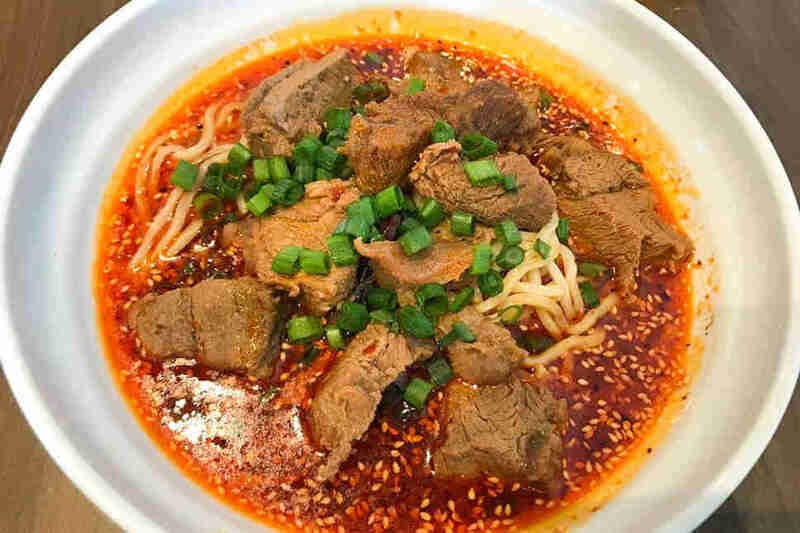 Plano’s Tasty House offers great Sichuan cuisine at affordable prices from a humble spot in an otherwise anonymous strip mall. From hot pots to salt and pepper squid, Tasty House is the definition of “hidden gem” in the culinary world. The northeastern edge of Fort Worth probably isn’t the first place you think of when searching for authentic Vietnamese cuisine. 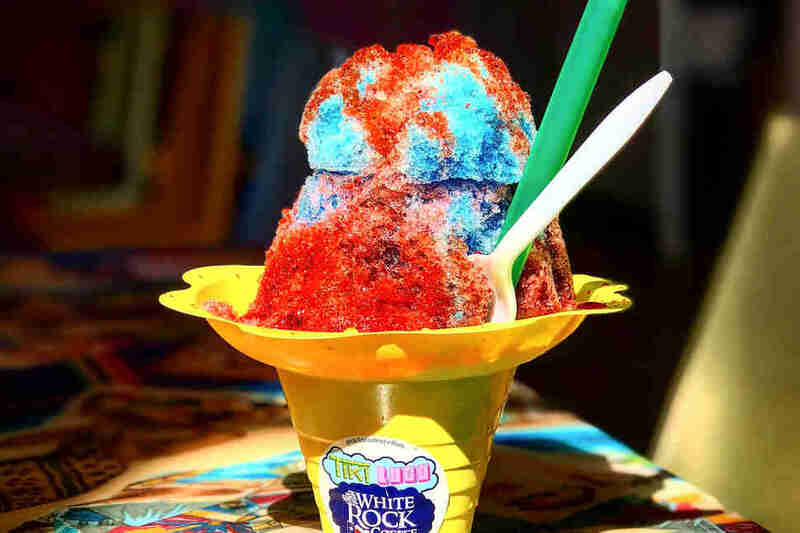 But the area neighboring Haltom City is home to a vibrant Vietnamese community with restaurants reflecting the tastiest that their homeland has to offer. 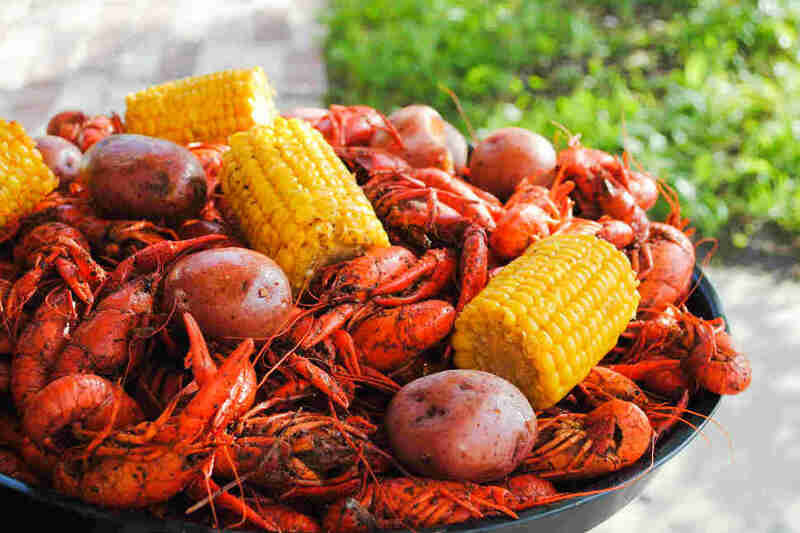 The newest addition to this ever-growing list is Blue Cajun. It doesn’t get more casual than their wooden picnic benches and encouraging customers to draw on the walls. But their Viet-cajun seafood is no joke. With a variety of sauces and spice levels, you can select the seafood and flavor of your choice and order by the pound. Located in the midst of the restaurant row that is Addison, Porcinos brings a local focus to their obsession with all things pig and pork. Working with local growers and farmers to source many of their primary ingredients and meats, Porcinos offer the standard Southern fare such as fried chicken, sausage-laden charcuterie boards, and more adventurous options like poutine with duck fat fries and short rib meat. It's probably not the best pick for your visiting vegan friends but a solid spot for decadent Southern comfort foods. Amanda Cobra is a contributor to Thrillist.